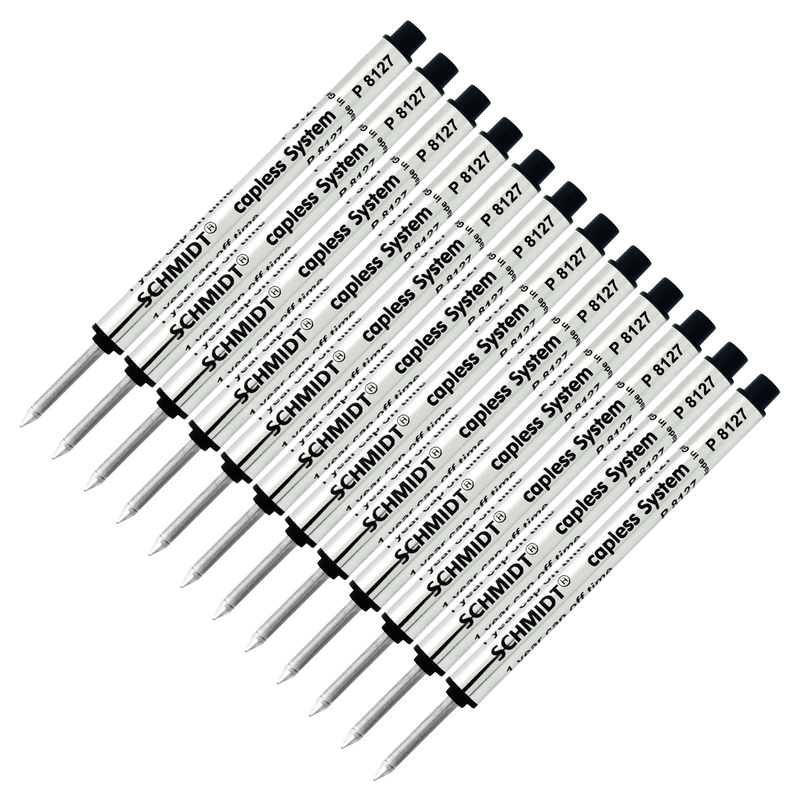 Schmidt P8127 Capless Rollerball refill. Short roller ball refill by Schmidt ®. Schmidt ® Capless System is newly developed for the most smooth and elegant writing. This system combines the individual writing character of a fountain pen with the problem-free handling comfort of a ball pen. Suitable for Bexley, Colibri, Delta, Krone, Marlin, Monte Verde, Pelikan, Retro 51, Rotring, Visconti, Yafa and other pens. A cover cap is not necessary for the Capless System. The new type of ink dries immediately on the paper, but not in the system for more than one year! Metal tube with tampon system, stainless steel tip with 0.7 mm ruby ball. 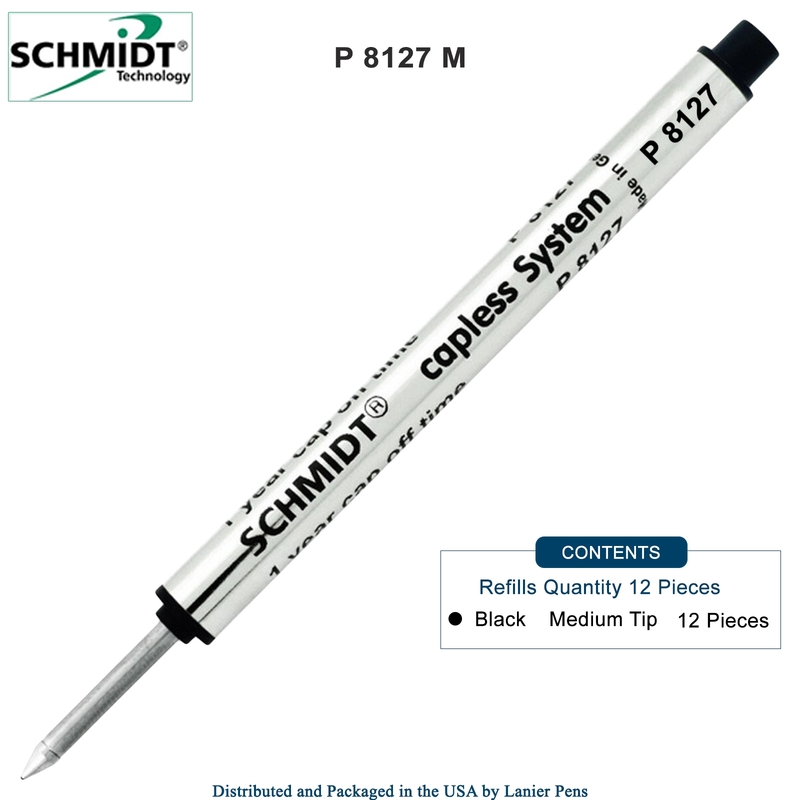 Refill Reads: “SCHMIDT ® cap-less system P8127"